Noble’s K10 is an all-time Hall-of-Famer due to its widely appealing signature with enhanced bass, and a forward and exciting midrange. After many years of loyal service, the Katana was introduced as a reference-oriented counterpart. While retaining the trademark Noble musicality, Katana offers a versatile signature with a spacious stage. The Katana comes with Noble’s 4-wire SPC cable. Compared to the common warmer OFC 3-wire, Noble’s SPC has a slight lift in the upper midrange which boosts its clarity. For this reason, SPC’s are popular as stock cables for higher-end models, even though there tends to be a tradeoff for the naturalness of its tone. In addition, there is a slight thinning of the vocal presentation, although it is kept well within a good margin. Overall, the improved clarity aids in creating a cleaner stage relative to an OFC 3-wire. Paired with Katana, the combination works quite well when keeping the intended tuning in mind. Noble’s co-flagship is designed with a neutral tuning. Neutral remains a difficult construct to conceptualise; not only because listeners tend to have different opinions on what is considered neutral, but manufacturers alike. Accordingly, there are varying tuning interpretations of ‘neutral’, which again all sound quite different. There’s ‘neutral-reference’ like iems as the Samba or Dream, or ‘neutral-natural’, like the UE18+ or 5-Way. Due to its lower treble lift and punchy bass, Katana’s version of neutral focuses on clarity with a hint of ‘fun’. It’s not necessarily the most uncolored or natural sound, it is however a musical and engaging variant. Katana’s signature is characterised by a lifted treble response. 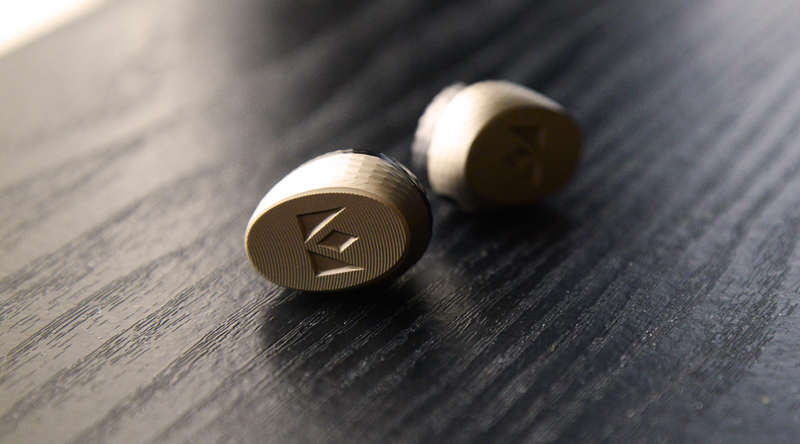 A lower treble peak boosts its clarity and articulation, while adding a bit of liveliness to the sound. It brings it closer to a reference-oriented tuning, although it’s not necessarily treble-heavy; the midrange is simply a bit brighter in tone, or at least less warm than average. But it’s full in size, with good ability to fill the headspace without tending to congestion. Instruments have a slightly forward stage positioning, while a touch of brightness in its upper midrange adds some sparkle and bite to guitars or melodies. In the background, a punchy sub-bass steadily controls the rhythm. The result is an engaging take on music, rather than a sterile performance often associated with reference sound. Technically it performs consistently well concerning separation, resolution and transparency, while simultaneously not being the best in its class. The Katana creates a wider than average soundstage, adding an average height with a nice bit of depth. It conveys a spacious feel due to its lifted treble, which benefits the cleanliness of the stage. The wide stage is appealing, and its relatively large and airy stage results in good degree of separation; Katana has no problem with reproduction of detail, due to the clarity of the image. But despite sufficient depth, it struggles a bit with its layering ability, as well the pinpoint precision of its imaging. While the central vocal has good focus, instruments in the final layer miss a bit of precision in their positioning. As a result, Katana’s presentation is not truly holographic despite its spacious dimensions, something we’ve come across earlier with Deca. By contrast, competitors as the S-EM9 or Samba offer that final bit of precision required for a three-dimensional image. More pseudo-intelligent rambling from a deluded “, audiophile” – cables all sound the same apart from volume variance. If your educational system involved teaching you any physics you *know* this, but blindly plunge on in uninformed disregard. And studying for a PhD? The mind boggles. A $200 pair of Trinity sound better than these overpriced things. Have you ever tried a quality cable yourself? I know professors in physics that enjoy cables. You know why? Because they use their ears. I used to think cables all sounded the same. I then tried 2 top of the line demo units over the course of nearly a month. I even had my buddy switch them randomly and I was able to call it precisely. It helped that they produced totally different sounds with my A18’s. Cables do alter sound, no longer a doubter. Been looking forward to this your take on this one Nic, thanks for the comprehensive review! As an Andro owner, i was wondering if the Katana offers a meaningfully superior listening experience compared to it, your thoughts on the matter would be most appreciated. 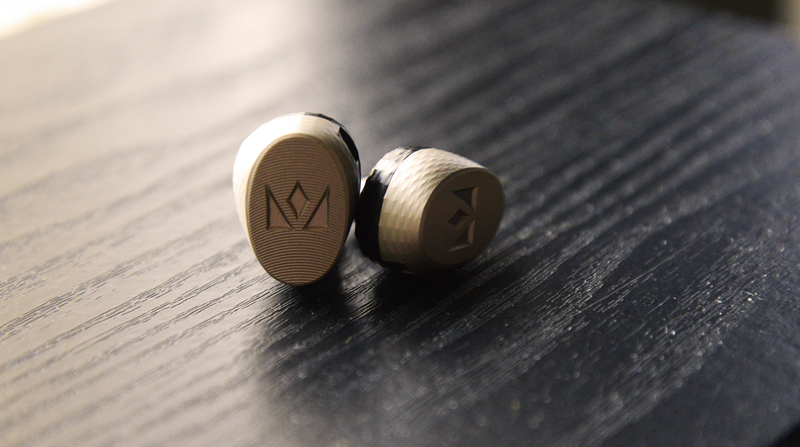 As a personal aside, of all the iems i own, the fit/seal of my Noble Massdrop X has been rather frustrating, am i correct in assuming that all universal Nobles share the same nozzle design? Thanks buddy appreciate that. Andro and Katana are both iems that shine in their versatility; allround iems that work for a large range of music. But there are crucial differences throughout the signature. Katana for instance sounds cleaner and has a larger stage. It’s bass is punchier with more sub-bass emphasis. Andro on the other hand has a warmer midrange, that adds a bit more emotion and works well for male vocals. I’m afraid I haven’t tested other Noble models extensively. I think they have different size housings for each model, but I couldn’t say if the nozzle is different.